Care home planning is the backbone to the high-quality care Sanctuary Care provides to residents across the country, with every detail documented being personal and unique to them. It enables our caring team to truly enrich the lives of residents as they provide person-centred care – but how has care home technology enriched this even further? The introduction of electronic care plans enables staff to access everything they need to at the point of care, in an instant, at the touch of a button. This eases daily pressures and enables our kind staff to do what they do best – deliver outstanding care. Sanctuary Care’s bespoke system of electronic care plans, known as kradle, is an assistive technology programme that was developed by and for our staff, but what do our staff really think? Meet Deputy Manager at Regent Residential Care Home in Worcester, Jill Pearce, who shares her personal insight. ­Nursing Times also highlights how record keeping is an essential part of care practices and is often undervalued and can let down the care that is being provided. 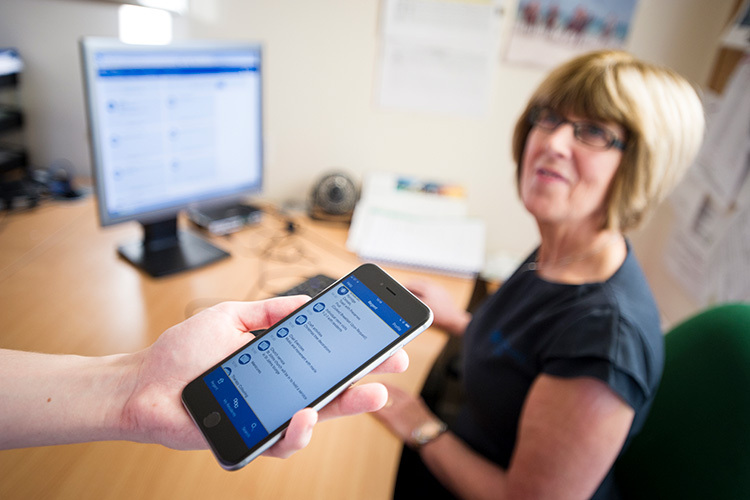 Electronic care plans and care home apps on the other hand, help to reduce the burden of form filling and provide accurate, timely and accessible record systems – Jill (and Sanctuary Care) agrees. With kradle, all of the information staff need about their residents is kept in one central place. It is easy to read, unlike hand written paper-based care plans, and there are alerts to prompt staff when things like reviews need to be carried out. Also, any risks are highlighted which leads to even greater person-centred care. “At first I was terrified of failing; I am not the most tech-savvy person so I wasn’t confident in the system whatsoever. After the training and using kradle, I finally understood the need to change and would definitely never go back to paper based-care plans. “kradle enables care professionals to be the best they can be. There is so much to document in care sector roles and it is so important that you record everything. With paper-based care plans you have to remove yourself from the point of care to document the care given which takes you away from your residents. Why not read up on further details about the benefits of our innovative electronic care planning system kradle here.